If youâ€™ve been fortunate enough to be successful in spaces, you know for people of color, especially Black men, the higher up you climb the lonelier it tends to get. Ten years ago I was told I had to meet Cornelius Minor. I knew immediately we were being put on a Black professional â€œplay dateâ€� ðŸ˜‚. While I respected the thought, I wasnâ€™t that enthused. Iâ€™ve never been more proud to be wrong. 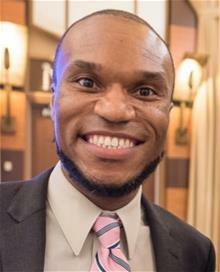 Cornelius is one of a select few Black male staff at the esteemed Columbia University, and he has spent his career traveling the world sharing the joy of reading, and especially the freedom and power it brings to liberate everyone, though he unapologetically focuses on black and brown students. His brilliant mind is only surpassed by his passion for his community, his people, his brilliant wife and two beautiful daughters. His unwavering courage to remain in spaces and try to change the status quo for how systems see Black men in education is inspiring. I am proud to have learned from him, with him, to call him a brother and a friend. If your kids are reading and writing well from Seattle to Brooklyn and all points in between, thereâ€™s a 51 percent chance that Cornelius helped coach and develop the wonderful educators (besides the dope parents) that helped cultivate that love and skill. Look for his name as big things are happening this summer, but for this and many other reasons, the man the streets call â€œMinorâ€� is Black history, today.